Teaching my very first face painting workshop!! Last month I taught my first ever workshop. I was invited to be 1 of 2 tutors at Face Paint BOOTCAMP – an incredible, intensive one day training session in Belfast, Northern Ireland, organised by Stacey Kilpatrick of S.A.K. Designs. 30 participants were divided into 2 groups for two back-to-back 3 hour workshops (with a lovely leisurely lunch in between!) It was an absolute honour and privilege to be ‘billed’ alongside the phenomenal Teresa Mullin. Another demo – one stroke butterfly transferred to a beautiful, happy face! Diligent participant working on her break! Another one stroke butterfly on a willing participant! Completed one stroke sugar skull – would’ve loved to do more detail but time was limited! Such a lovely happy audience! The only boy! and 29 women! 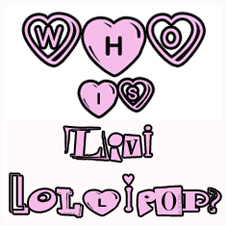 Find out where Livi Lollipop will be face painting and follow her Adventures in Lollipop Land. Simply enter your email in the box below & click "fairy dust & lollipops"
Hidden under the rainbow in a corner of Clarendon Park, reality melts into the multi-coloured, magical world of Livi Lollipop. Livi Lollipop is the name of Leicester’s exclusive, enchanting Face Painting Fairy. She bursts through a world of monochrome madness, spreading splendor and colour wherever she goes. With a few tickles of her paintbrush, children (and adults!) can fulfil fantasies, become butterflies, and morph into monsters! With a wave of her wand she stirs up the sunshine. Scattering lollipops she blows you a kiss and whispers, Be who you want to be. Fly free. ❤ A Very Quirky Valentine’s Day ❤ Face Painting, Prosecco & Chocolate! Face Painting Training | Leicester & beyond! Face Painting Leicester to London · Planning a party? 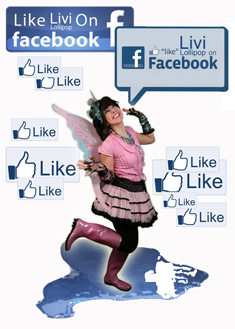 Hire Livi Lollipop the Face Painting Fairy to entertain the children. Girls can become fairies and princess, boys can be pirates, monsters, tigers – kids can fulfill their imagination. Birthdays, weddings, festivals, fetes, markets, craft fairs, and more.